The 6278 hose is constructed of smooth bore Teflon® or FEP liner with a crush and kink resistant double wire helix. 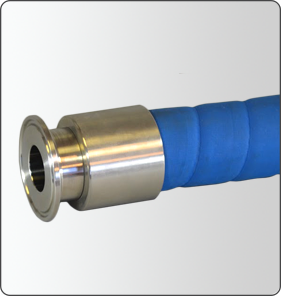 This hose is ozone and abrasion resistant and has a cover reinforced with nylon plycord. This hose offers a robust construction, suited for a wide variety of applications including steam cycling. This extremely durable hose is great for chemical, food, beverage and pharmaceutical transfer. Available in a wide variety of end fittings, sanitary and industrial.